Roche has submitted a supplemental Biologics License Application in the US for Kadcyla for adjuvant treatment of people with HER2-positive early breast cancer with residual disease after neoadjuvant treatment. 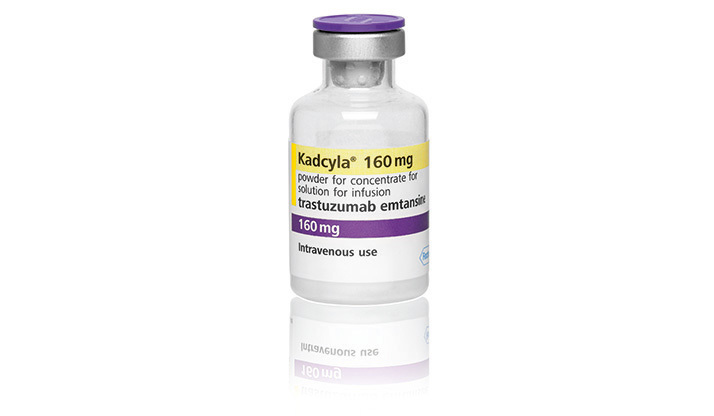 Kadcyla was granted Breakthrough Therapy Designation in this same indication. Now the FDA is reviewing the application under the Real-Time Oncology Review and Assessment Aid pilot programmes, which aim to explore a more efficient review process to ensure safe and effective treatments are available to patients as early as possible. “Kadcyla was granted Breakthrough Therapy Designation and is also the first Roche medicine to be reviewed under the FDA’s Real-Time Oncology Review pilot programme; both FDA initiatives aim to expedite reviews and bring medicines to patients sooner,” said Sandra Horning, Roche’s Chief Medical Officer and Head of Global Product Development. This application is based on results of the phase III KATHERINE study showing Kadcyla significantly reduced the risk of invasive breast cancer recurrence or death from any cause compared to Herceptin (trastuzumab) as an adjuvant treatment in people with HER2-positive eBC who have residual disease present following neoadjuvant treatment. People who have residual disease after neoadjuvant treatment have a worse prognosis than those with no detectable disease. At three years, 88.3% of people treated with Kadcyla did not have their breast cancer return compared to 77.0% treated with Herceptin, an absolute improvement of 11.3%.